Like everyone else, elite investors make mistakes. Some of their top consensus picks, such as Amazon, Facebook and Alibaba, have not done well in October due to various reasons. Nevertheless, the data show elite investors’ consensus picks have done well on average over the long-term. The top 25 S&P 500 stocks among hedge funds at the end of June 2016 lost an average of 8.8% through October 26th whereas the average stock in the S&P 500 Index lost 9.5% during the same period. Because their consensus picks have done well, we pay attention to what elite funds think before doing extensive research on a stock. In this article, we take a closer look at HSBC Holdings plc (ADR) (NYSE:HSBC) from the perspective of those elite funds. HSBC Holdings plc (ADR) (NYSE:HSBC) has lost smart money support for three straight quarters, with the number of shareholders of the stock falling by 46% during that time among the funds tracked in our database. The Asia-focused banking giant was owned by just 7 of those money managers in the middle of 2018, one of which was Fisher Investments, which bought another 463,230 HSBC shares in Q3. The stock also ranked 11th on the list of 25 Dividend Stocks that Billionaire Ken Fisher is Bullish On, thanks to a 4.77% dividend yield. 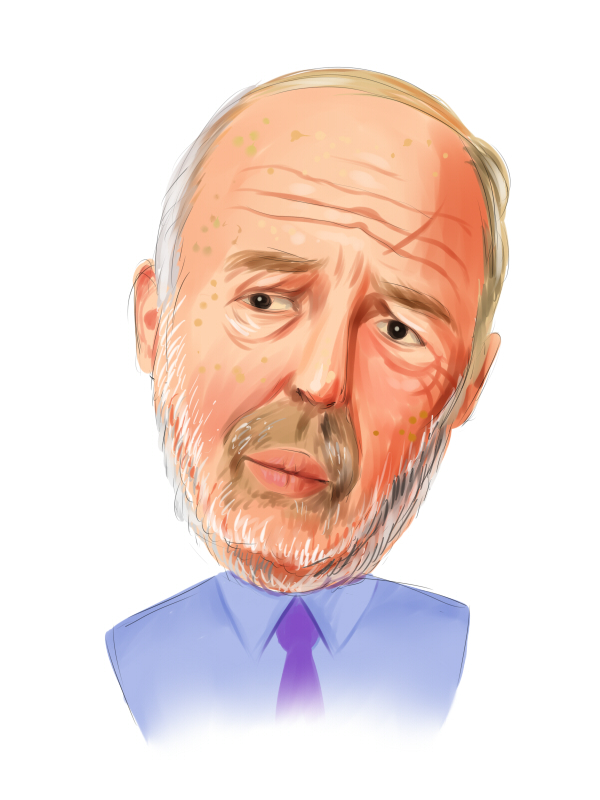 What have hedge funds been doing with HSBC Holdings plc (ADR) (NYSE:HSBC)? Heading into the fourth quarter of 2018, a total of 7 of the hedge funds tracked by Insider Monkey held long positions in this stock, a 13% decline from one quarter earlier. 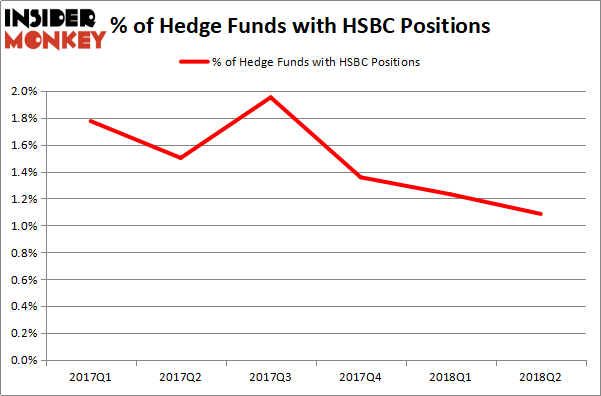 The graph below displays the percentage of hedge funds with bullish position in HSBC over the last 6 quarters. So, let’s examine which hedge funds were among the top holders of the stock and which hedge funds were making big moves. Among these funds, Fisher Asset Management held the most valuable stake in HSBC Holdings plc (ADR) (NYSE:HSBC), which was worth $719.5 million at the end of the second quarter. On the second spot was Renaissance Technologies which amassed $15 million worth of shares. Moreover, Manatuck Hill Partners, Stevens Capital Management, and PEAK6 Capital Management were also bullish on HSBC Holdings plc (ADR) (NYSE:HSBC), allocating a large percentage of their portfolios to this stock. Due to the fact that HSBC Holdings plc (ADR) (NYSE:HSBC) has experienced falling interest from hedge fund managers, logic holds that there is a sect of hedge funds that slashed their positions entirely heading into Q3. Intriguingly, D E Shaw said goodbye to the largest stake of all the hedgies tracked by Insider Monkey, valued at an estimated $1.2 million in stock. David Dreman’s Dreman Value Management also sold off its small position in HSBC. These transactions are interesting, as total hedge fund interest dropped by 1 fund heading into Q3. Let’s also examine hedge fund activity in other stocks similar to HSBC Holdings plc (ADR) (NYSE:HSBC). These stocks are The Coca-Cola Company (NYSE:KO), China Mobile Ltd. (ADR) (NYSE:CHL), Novartis AG (ADR) (NYSE:NVS), and Oracle Corporation (NASDAQ:ORCL). This group of stocks’ market valuations are similar to HSBC’s market valuation. As you can see these stocks had an average of 32 hedge funds with bullish positions and the average amount invested in these stocks was $6.57 billion. That figure was $744 million in HSBC’s case. Oracle Corporation (NASDAQ:ORCL) is the most popular stock in this table. On the other hand China Mobile Ltd. (ADR) (NYSE:CHL) is the least popular one with only 13 bullish hedge fund positions. Compared to these stocks HSBC Holdings plc (ADR) (NYSE:HSBC) is even less popular than CHL. Considering that hedge funds aren’t fond of this stock in relation to other companies analyzed in this article, it may be a good idea to analyze it in detail and understand why the smart money isn’t behind this stock.